N-acetyl L-cysteine (NAC) helps to replenish intracellular glutathione, a vital cellular antioxidant. * NAC has a low molecular weight and is well absorbed via oral administration. NAC is a glutathione precursor that has been used in therapeutic practices for several decades.1,2,3 It has long been used to support healthy mucous production in a subset of patients and to support liver function. *1,2 More recently, clinical studies have reported on the use of NAC as a free radical scavenger, most notably where there appears to be a need for glutathione repletion. *1,2 As with scientific inquiry, evidence develops on both sides of a hypothesis. This is often akin to incremental weights being added to each side of a mechanical balance. Thus, sometimes we refer to the “weight of the evidence” when concluding what the majority of scientific articles and opinions is currently. NAC is no different. Mounting evidence supports its role in healthy glutathione levels*, but not all investigators have come to the same conclusion. Despite ample evidence supporting low concentrations of glutathione leads to an increase in lipoprotein oxidation and NAC’s role in healthy glutathione levels,* this study did not support the supposed action of NAC.2,4 Because the results do not necessarily jive with current understanding, it’s important to further evaluate the methodology. The study used healthy, normolipidemic subjects and provided no other information regarding inclusion or exclusion criteria used to select participants. Due to the small sample size, the findings are not generalizable. In addition, the study did not account for any cofounding variables that may have impacted the results of the study. For example, only whole blood glutathione was measured so the understanding of the relationships between plasma levels and erythrocyte concentrations is not determined. It is important to note that glutathione is more of a system than a particular level. The body uses varying oxidative and reductive states in different situations. When cellular glutathione availability is reduced, the detoxification of oxygen metabolites such as superoxide, hydrogen peroxide, and hydroxyl radicals is rate-limited. Because NAC is a thiol-rich agent, it has the potential to interact with certain reactive oxidative species and form these very same oxygen metabolites. One theory about the potential contradictory effects of NAC may be that single agent, free radical scavenging compounds may exert oxidative stress. This has been seen in relation to beta-carotene, vitamin E, and vitamin C.5,6,7 In this small sample, it may be reasoned that the thiol-rich NAC was given in an unnecessarily high dose. This is where the methodology gets interesting. Investigators reported not observing any change to the single oxidative marker of oxidized LDL after 4 weeks using 1200 mg daily so they doubled the dose. However, levels of glutathione were not reported and it is not clear if it was measured. A reader has to wonder if glutathione levels were already reduced using this dose or if the reduction of whole blood glutathione levels were only seen after the large dose. Knowing this information would be clinically useful despite the small sample size. Additionally, evaluating only a single marker is fine for an isolated study but not as valuable clinically. 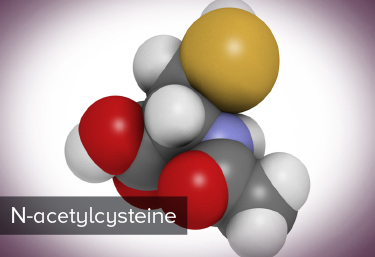 Empirical use of N-acetyl L-cysteine (NAC) is often a titration. The dose is increased until an effect is identified and then reduced. Excess NAC results in foul-smelling flatulence and clinicians often reduce the dose to negate this effect. This allows for individualization of care. NAC is also empirically used in conjunction with other micronutrients to support the entire glutathione system rather than only providing precursor materials. Lauren Martin earned a Master of Science in Human Nutrition from Columbia University. She is a candidate nutrition specialist and intern at Metabolic Treatment Center. She co-founded Martin Family Style, a lifestyle, food and nutrition blog. Lauren is the lead author of the blog's nutrition section. She earned her Bachelor of Science in Nutrition from Oklahoma State University. 1Lasram MM, Dhouib IB, Annabi A, El Fazaa S, Gharbi N. A review on the possible molecular mechanism of action of N-acetylcysteine…. Clin Biochem. 2015 Nov;48(16-17):1200-8. 2Rushworth GF, Megson IL. Existing and potential therapeutic uses for N-acetylcysteine: The need for conversion to intracellular glutathione for antioxidant benefits. Pharmacol Ther. 2014 Feb;141(2):150-9..
3Elbini Dhouib I, Jallouli M, Annabi A, et al. A minireview on N-acetylcysteine... Life Sci. 2016 Mar 2. pii: S0024-3205(16)30152-7. 4Kleinveld HA, Demacker PNM, Stalenhoef AFH. Failure of N-acetylcysteine to reduce low-density lipoprotein oxidizability in healthy subjects. Eur J Clin Pharmacol. 1992;43(6):639-42. 5Palozza P, Serini S, Di Nicuolo F, Piccioni E, Calviello G. Prooxidant effects of beta-carotene in cultured cells. Mol Aspects Med. 2003 Dec;24(6):353-62. 6Kontush A, Finckh B, Karten B, Kohlschütter A, Beisiegel U. Antioxidant and prooxidant activity of alpha-tocopherol in human plasma and low density lipoprotein. J Lipid Res. 1996 Jul;37(7):1436-48. 7Carr A, Frei B. Does vitamin C act as a pro-oxidant under physiological conditions? FASEB J. 1999 Jun;13(9):1007-24. 8Bridgeman, MME, Marsden M, MacNee W, Flenley DC, Ryle AP. Cysteine and glutathione concentrations in plasma and bronchoalveolar lavage fluid after treatment with N-acetylcysteine. Thorax. 1991 46;39-42.